Here are 12 big things I’ve noticed this week about one of college basketball’s best leagues. It’s time to take a look at Baylor (14-6, 5-2 in the Big 12) as a possible team that can win the league. Kansas throttled Baylor for 34 minutes in Waco, then rallied to nearly beat the Jayhawks in that game. Since then Baylor is 5-0 with wins over Texas Tech, Alabama and a 30-point demolition of Oklahoma in Norman. Last week, I wrote that Bruce Weber was the Big 12 Coach of the Year front runner. But if Scott Drew can win more road games like he did on Monday — not by 30 points, but in general — he’ll runaway with the award. Baylor hasn’t played Iowa State, Kansas, Kansas State and Texas Tech on the road yet. Those are the four most difficult arenas to play in. A lot of the Bears’ momentum is built on having played both Oklahoma State and West Virginia on the road and then getting Tech at home. But if Monday is any indication, the Bears will be a tough team to beat anywhere. Makai Mason wasn’t healthy for the first couple months of the season, so you have to wonder what Baylor’s win-loss record and advanced metrics would have been if he had been the player he is now in November and December. While Mason is doing the heavy lifting for Baylor (15.3 ppg. ), his backcourt mate King McClure (10.4 ppg.) is also playing as well as any guard. The combo, and the defense, have propelled Baylor in this five game streak. A few years ago Baylor shifted to the zone defense. The zone is effective at the college level because it makes offenses think. The 2-3 zone is actually not a bad defense to run against a good 3-point shooting team or a team that takes a lot of jumpers. While it creates opens shots and an opponent can shoot a defense out of it, the 2-3 zone forces skip passes, which often lead to turnovers, and also tempts teams to shoot bad shots as way to get them out of their normal offense. It’s time to applaud the genius of Texas Tech’s No. 1-ranked defense at Kenpom. A lot of times great defenses have some sort of system-based reason for why its good. Syracuse’s zone, West Virginia’s press, Virginia’s pack line. Other times a defense is good simply because of a great shot-blocker, like Kansas with it’s string of bigs like Cole Aldrich and Jeff Withey. And other times a great defense emerges because of the athletes and the length, and not really a system but because of roster creation, think of Florida State last year and most great Kentucky defenses under John Calipari. Texas Tech is great because of the mind-games it plays with offenses. Few teams ever switch from man to zone on consecutive possessions, but the Reds Raiders do. They’ll press teams and drop into a zone, they’ll play man just when a team begins to figure out the zone, then switch back to the zone just to see if an offense can remember how to stop it. They aren’t married to one style and their coach, Chris Beard, doesn’t look down on the zone defense (Kansas coach Bill Self famously refers to any type of zone defense as a “junk defense”). 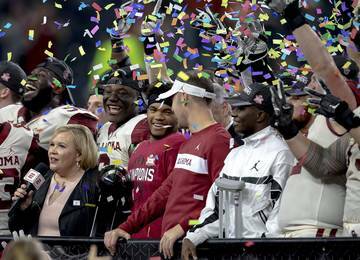 The Big 12 won the challenge 6-4, but it’s not like the league is holding a parade in Dallas. The two first-place teams in the league lost on the road — one suffering an embarrassing loss to a bad team and the other losing the marquee, prime-time headline game. One loss was expected (West Virginia is bad) and the third loss was the worst any of the 10 losing teams suffered. If Texas can’t beat a 9-9, 1-6 in the SEC Georgia team when the Longhorns start two seniors and a potential NBA Lottery pick, then you have to question if Texas will win any more road games this season. Maybe the deck was stacked against the Longhorns with Tom Crean’s team needing a big splash and much being made about his enthusiasm and ability to get fans to go Bulldogs games. 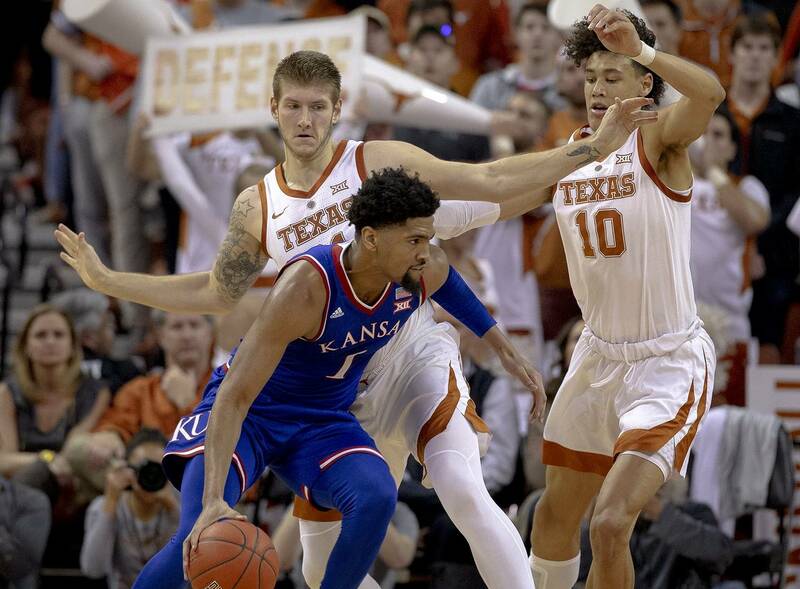 Texas beat Kansas on Tuesday, so not all is lost, but it shouldn’t completely overshadow the bad loss. 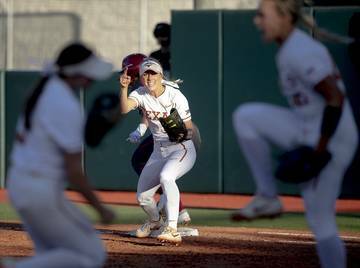 Outside of Texas’ loss and Oklahoma State’s win over South Carolina, there weren’t many surprises in the challenge but there were a lot of closer than expected games. Three of the SEC’s best teams, including two ranked teams, didn’t play in the challenge. No LSU. No Auburn. No Mississippi State. Sub those three teams for Vanderbilt, Arkansas and (I would say Georgia and Texas A&M, but they won) South Carolina, and this is, perhaps, a different outcome. Oklahoma beat Vanderbilt 86-55 on Saturday. Then lost at home by 30 points to Baylor 77-47. I liked OU entering the Big 12 slate because of its veteran roster and Christian James looked like the Super Senior the league has had the last few years (think Frank Mason and Keenan Evans). But so much has gone wrong for OU. At No. 34 on Kenpom, they’re still considered a good team, but, oh my, good teams don’t lose by 30 at home. The Sooners were ranked a few weeks ago, now, at 15-6 and 3-5 in league play, I’m not sure they’ll be in the tournament. Kansas, Texas Tech, Kansas State, Iowa State, Baylor, Oklahoma and Texas. 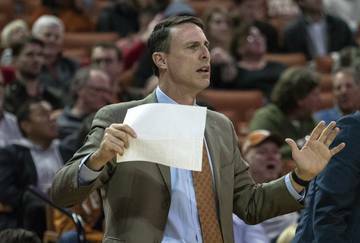 For starters, Texas’ wins over North Carolina, Purdue and Kansas make them a fairly solid NCAA team despite a whopping nine losses. The team that took the biggest step back seed-wise the last week was K-State, whose ability to earn a No. 1 and No. 2 seed even with it winning the Big 12 title are slim with a loss to Texas A&M and Tulsa. Right now only Kansas and Texas Tech are still in play for a No. 1 seed if they win the league and stay under six losses (that won’t realistically happen, though, as KU is at five and TTU is at four and they play each other two more times). Kansas, Texas Tech, ISU and K-State will need other teams from major conferences to pick up their slack, and would need to lose a lot of games in February, for me to think they won’t get top-4 seeds. Kenpom currently predicts Iowa State to win the league. Oklahoma, Baylor and Texas are the teams who are question marks. All three could conceivable still miss the tournament with a bad month. Baylor has a string of tough road games coming with trips to Ames, Austin, Lawrence and Lubbock. Oklahoma could strengthen its case with home games coming against Tech, Kansas, Iowa State and Texas. None of these teams can afford to lose a lot of home games over the next month and half. One of the most important factors in Kansas’ 2018 Final Four run was the play of 6-foot-9-inch, 245 pound forward Silvio De Sousa. The then-freshman was an early enrollee who rarely played during the regular season after joining the Jayhawks in January, but once the postseason arrived, he was a dominant back-up center for Udoka Azubuike. His name came up in the FBI-Adidas trial in September. The same day the verdict — three men were found guilty of, paraphrasing, influencing players to attend schools — Kansas announced it wouldn’t play De Sousa until the NCAA ruled on his eligibility. While there’s no real proof a booster paid De Sousa’s guardian $60,000 to attend Maryland, and the $20,000 that T.J. Gassnola, who testified, was supposed to pay him to “get out from under the deal” apparently didn’t happen. Gassnola did admit that $2,500 was paid for De Sousa to graduate early. All this was, reportedly, done without De Sousa’s knowledge. Kansas has reportedly admitted this infraction, which is why De Sousa was ruled ineligible. Before Kansas admitted the violation, most of the college basketball world was operating under the assumption KU was voluntarily keeping him out, and he wasn’t officially ineligible, until the NCAA ruled on it. If the number is $2,500, not $60,000 or $20,000, that’s a big difference, especially if De Sousa has paid back the money. One number probably ends Kansas’ Big 12 title streak and erases a Final Four. The other probably doesn’t punish the program, just the player, and that player has already been kept out of games. Seth Davis of The Athletic wrote on Monday De Sousa could be in uniform on Saturday. What does De Sousa provide if he is eligible? De Sousa and Dedric Lawson would almost certainly play together with De Sousa playing center like he did last season. That means teams couldn’t just double- and triple-team Lawson, as Kentucky and Texas did, in the post because Lawson is too good of a passer not to find De Sousa. Most of the Azubuike-Lawson offensive game-plan Kansas had returns because De Sousa is good. He’s been practicing with the team. He’s been traveling with the team. He’s been around the program all year. To assume he’d need some games to get back in the flow is a little too old school of a take for me. 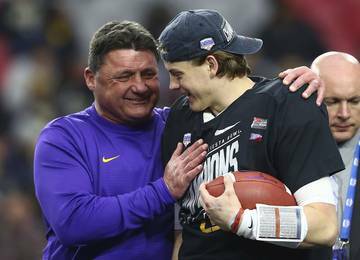 He probably does the same thing Ocahi Abgjai, who started on Tuesday, did when his redshirt was lifted a few weeks ago. 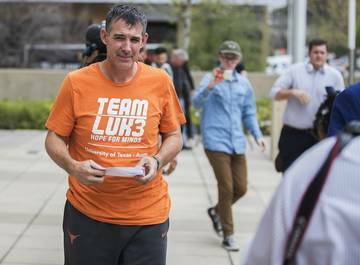 Texas Tech should be furious at the NCAA if a ruling to green-light him comes just before the Red Raiders’ trip to Lawrence. Any program who has to be the first to face Kansas with De Sousa will feel pretty salty, which may be why the NCAA chooses not rule anything until after the season. TCU nearly lost at home to Baylor to open Big 12 play, 85-81. It was at a time where a home loss to Baylor would have been devastating. This is considered a rivalry game by both schools, so I imagine TCU, who lost by 20 points to Texas Tech on Monday, comes out ready to play. Kevin Samuel played well against the 2-3 zone against Texas Tech. TCU is going to need Desmond Bane to play a complete game, instead of going scoreless in a half like he did against Texas Tech. Baylor at home, though, is a tall task for TCU. For Baylor, this is probably as big of a rivalry game in the league as the Bears have (no offense TCU, but it’s Texas). We’ve seen Baylor be able to handle road environments. Kansas went zone against Texas and it worked for a few possessions until Texas adjusted and made shots. Baylor plays zone better than any team in the league, so Texas will need to make shots from the outside to win. It’s hard to win on the road, but despite what Texas just did to Kansas at home, no team in the top eight of the conference seems to be more vulnerable at home than Texas (Radford, VCU and Providence all won in the Erwin Center). Also, it’s not like the 10-point win over Kansas was a romp. Lawson had a point-blank 3-pointer with about 30 seconds left that rattled out which would have made it a 1-point game. 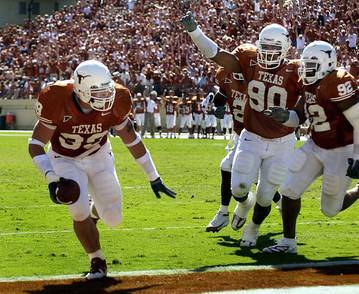 Texas nearly blew a double-digital lead with under three minutes left at home. I think a lot has to do with what happens over the weekend. If Baylor loses at home to TCU then the Bears may still be in a funk on Wednesday. 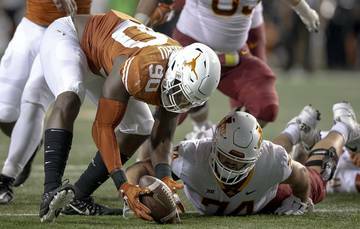 Texas, who plays ISU on Saturday, has let losses linger before which is why it has multiple losing streaks this season. Shaka Smart is coming off the second biggest win of his coaching career. Is that an overstatement? I don’t think so. The win over Kansas snapped a 10-game losing streak for Texas over KU and was Smart’s first win over Kansas since arriving in Austin. 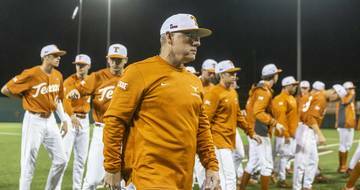 It came at a time when the Longhorns were coming off one of the worst loses of the season. It came at a time when it appeared Smart had lost the remainder of the fan base. If the coach wants to continue a 180 degree turn, beating Iowa State in Ames — the second toughest place to play in the Big 12 and Kenpom’s league favorite — would be it. I can’t think of a team Texas matches up with worse with than Iowa State. Texas doesn’t defend the perimeter very well and Iowa State has the most perimeter threats in the Big 12. Iowa State shoots 36.3 from long distance, second in the league, but has attempted the second-most 3-pointers (499). This game is all about Kansas State. The Wildcats haven’t beaten Kansas since Feb. 23, 2015. With Kansas’ Big 12 hopes potentially on the ropes after this weekend, or possibly fully revitalized, the pressure will be on coach Bruce Weber and the Wildcats. Kansas State needs this win because A) Not beating Kansas at home is something only Baylor has failed to do. B) The fan base wants this win more than anything else. C) A win over Kansas helps its résumé. This is a tale of reality vs. college basketball muscle memory. Reality: The Jayhawks are in for another rough day at Allen Fieldhouse against Texas Tech, who beat Kansas 85-73 in 2018. The nation’s No. 3 defense against the worst passing team of the Bill Self era. The nation’s No. 3 defense against the league’s most struggling offense. An offense of Texas Tech that, while ranked No. 7th in the league per Kenpom, has a handful of shooters against a Kansas defense that, while beingthe No. 14-ranked defense in the nation, allows a lot of open 3-pointers. Reality is Kansas is about to get worked at home and the Big 12 is completely up for grabs. Also reality: ESPN’s Basketball Power Index gives the Jayhawks a 64 percent chance to win. Muscle memory: Kansas has lost just 13 games at home at under Self. Blue blood programs like Kansas hardly ever lose multiple games in a row, let alone three, and the idea Kansas returns home and wins a must-win game is basically something that happens on a nightly basis in college basketball. Nothing in reality can make me think Kansas is a better team currently constructed and in practice than Texas Tech. And the Red Raiders are a flawed team themselves. I expect Kansas to have some sort of last stand moment at home that propels them to do what they do so often, and that’s reel off win after win in February. Maybe this game is it. Maybe it’s a road game at Kansas State. For Texas Tech, a win over Kansas puts them back in the Big 12 driver’s seat that a three-game losing streak bumped them out of. It’s a moment for Jarrett Culver to shine on CBS. Both of these Texas Tech-Kansas matchups were always going to be the marquee games of the Big 12 season, but no one expected Kansas would be limping this badly into this game. 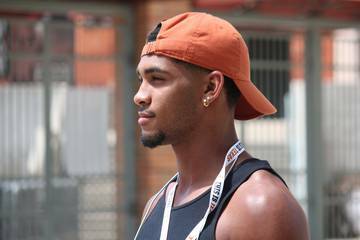 The Dotted Line: How important is four-star offensive tackle Javonne Shepherd to Texas?